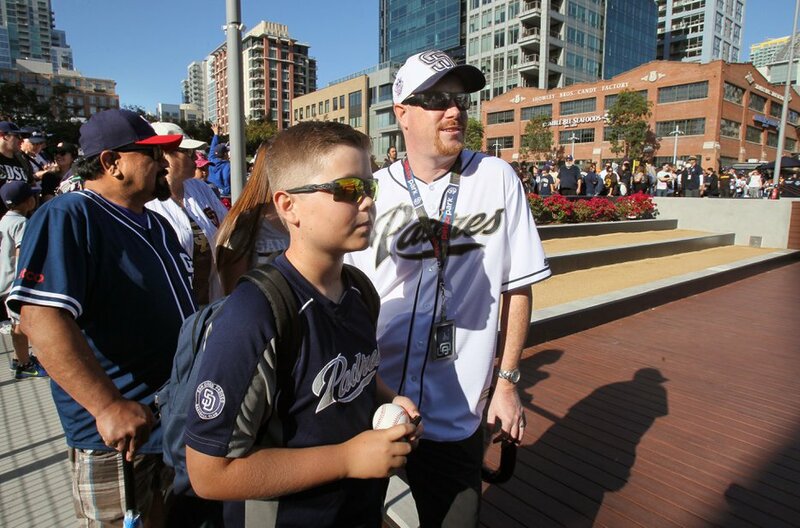 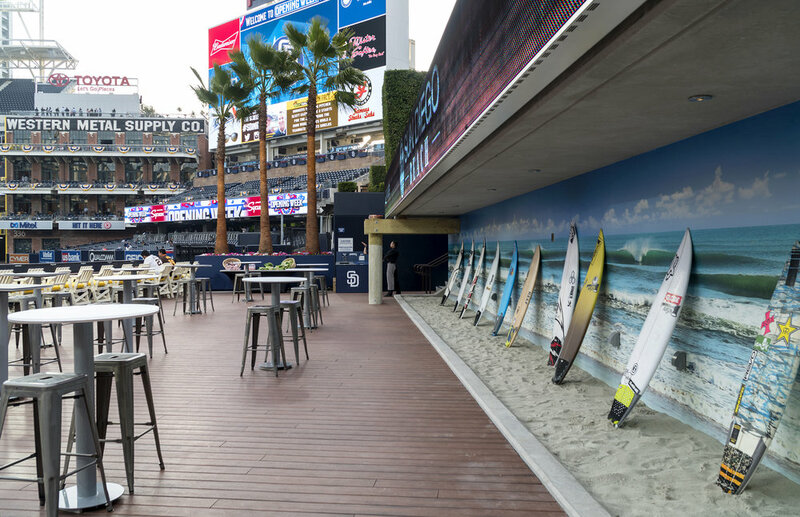 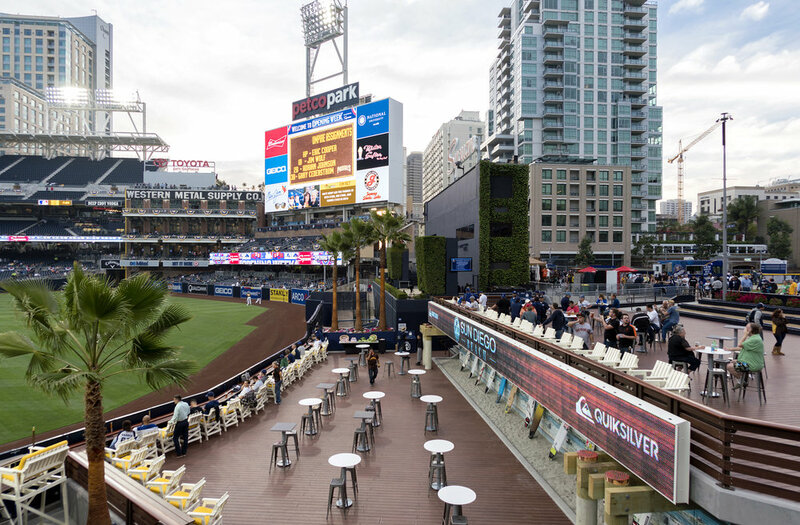 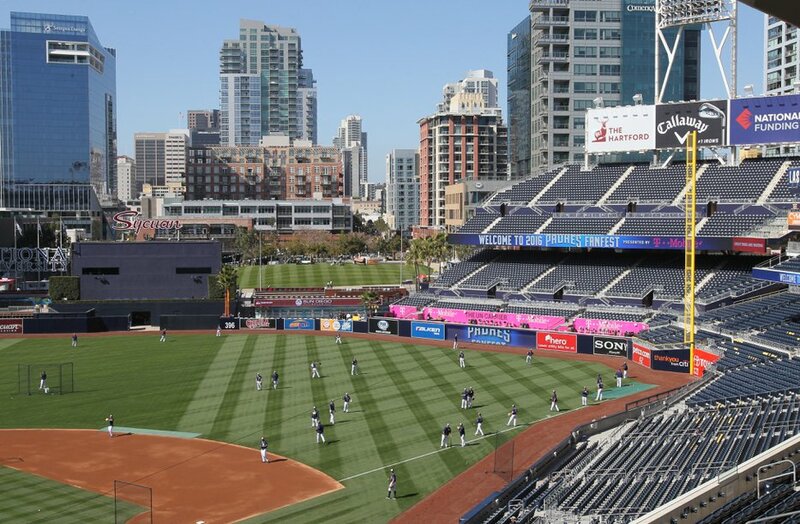 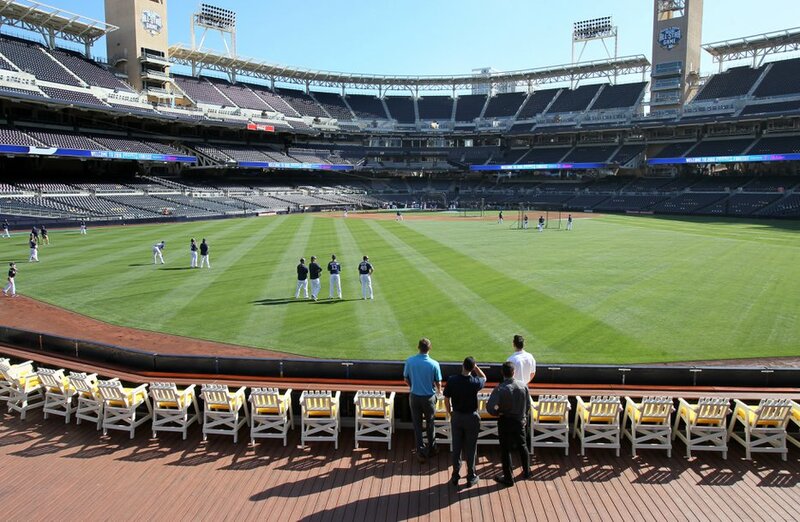 Inspired by San Diego's beach lifestyle, Petco Park's Craft Pier is a bi-level group deck with movable, over-sized lifeguard-themed seating along the upper and lower drink rails. 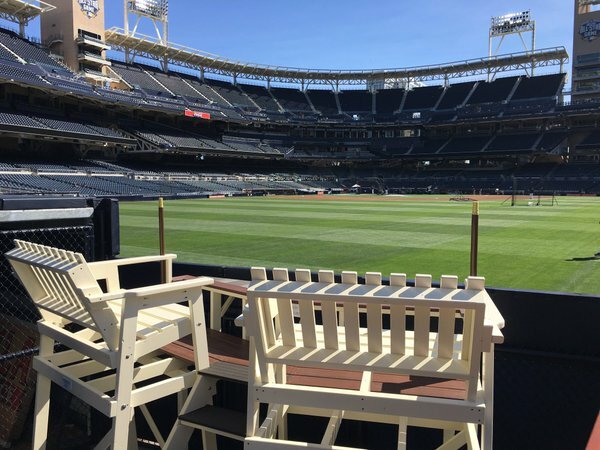 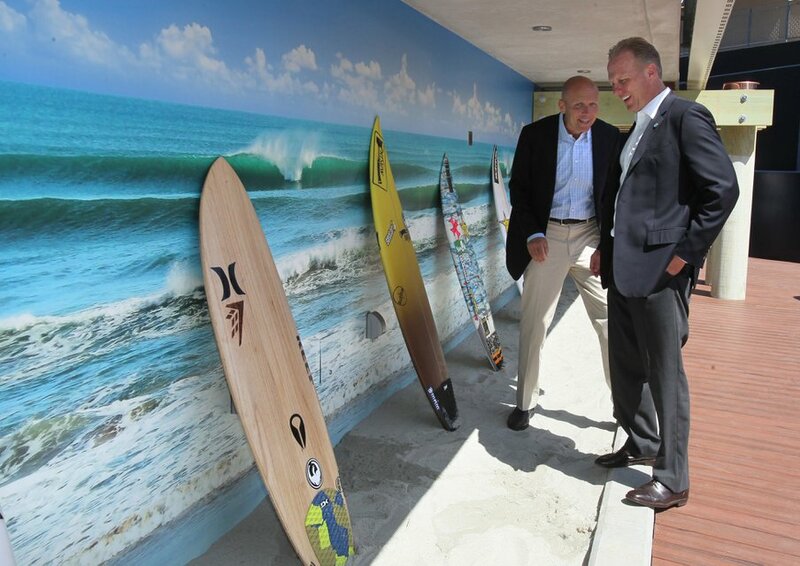 Designed to evoke San Diego's iconic piers, the Craft Pier features a large boardwalk, split rail guardrails, weathered pilings, a surf board pit, and a beach area sand lot for kids and the young at heart. 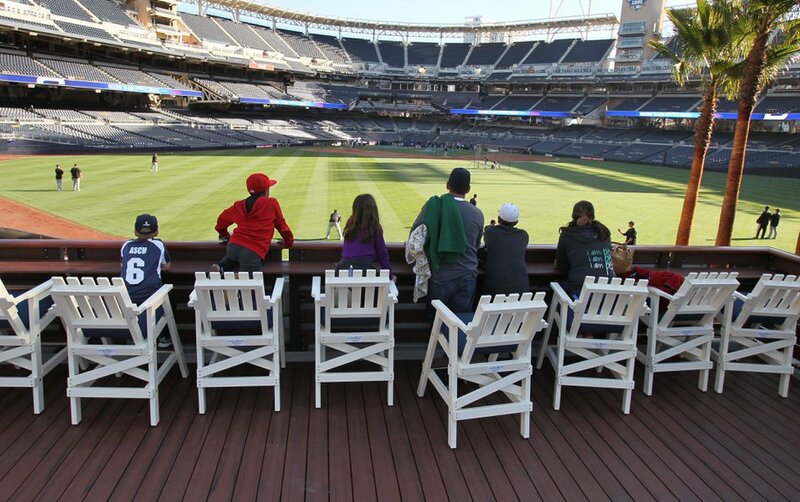 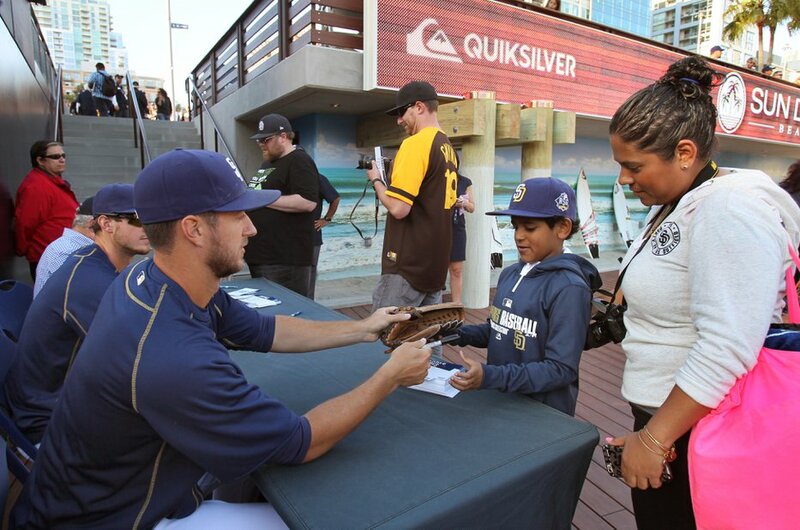 With its front row adjacent to the warning track, the Sun Diego Beach Deck is a popular spot for catching home run balls during games!